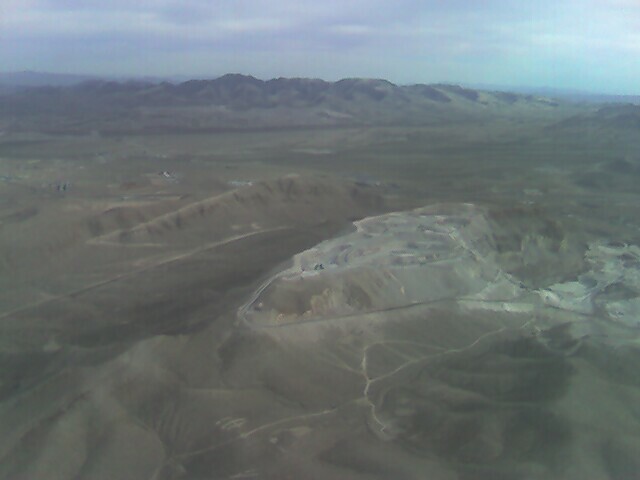 I'm writing to you from 35K miles up in the sky...overlooking snow capped mountains and now the dry desert! I'm heading to Las Vegas for CHA. This trip starts my crazy jetsetting life of 2006. I tend to get a lot of thinking, idea jumpstarts for new projects, articles, and to do lists done on my plane rides. I'm typing this blog entry on my Treo keypad, so I'm tryin to keep it short. 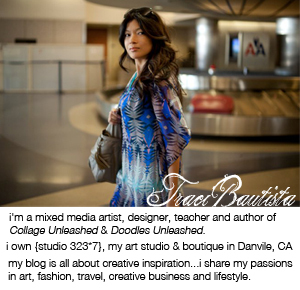 Yesterday...I sent my final corrections in for my book Collage Unleashed! I'm very excited about the design and overall outcome of it! My team @ North Light Books is awesome!!! Great news..the new release date is MAY 22, 2006. Yay! 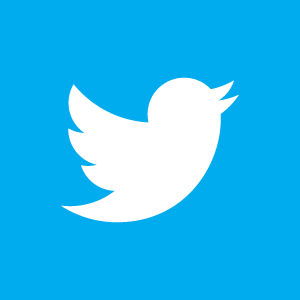 I'll keep you posted of my CHA experience..so come back next week! Happy New year!!! Wishing you and your family a beautiful 2006! The holidays flew by this year..I went to Las Vegas for Thanksgiving, Christmas and New Years to visit my family and friends. My sister and her boyfriend came in from Hawaii and we hung out with my parents and Freedom. Well...i've been out of touch for a while because of my crazy travel schedule and putting the finishing touches on my BOOK!!! Collage Unleashed will be out July 20006...but you can now PRE-ORDER it! I will be heading back to Vegas in the next couple of weeks for CHA, the largest craft and hobby expo/tradeshow. This is the first event for my book. 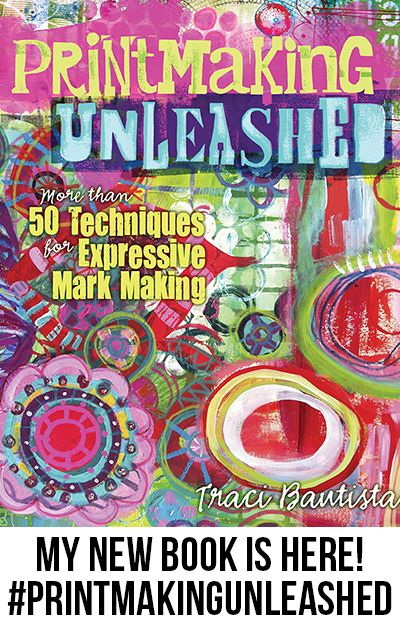 I will be demoing projects from my upcoming book Collage Unleashed! If you are attending...come by and say HI. I will be working in my publishers booth F+W Publicatons/North Light Books. 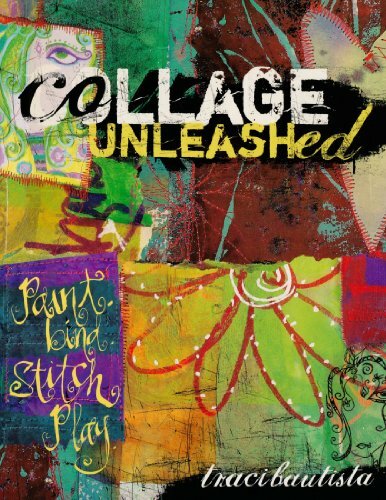 My book Collage Unleashed is now available to PRE-ORDER on Amazon.com! 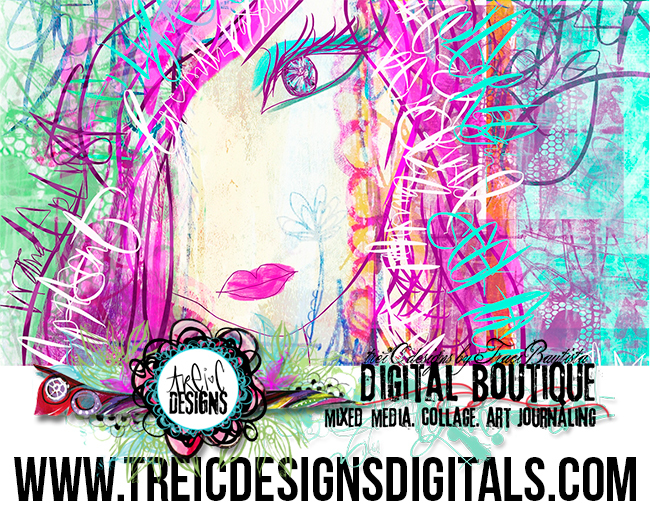 I get the first design layout copy this week...so excited!